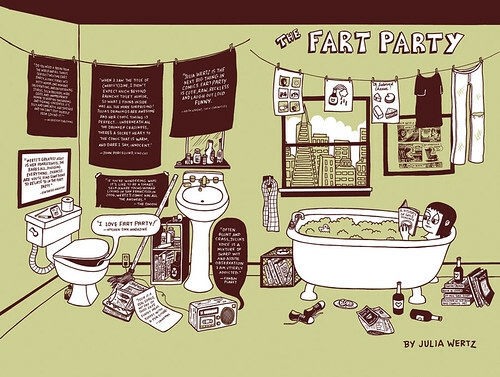 In 2004, Julia Wertz began a series of funny, irreverent autobiographical comics she called “The Fart Party.” After posting these comics online at fartparty.org to acclaim and controversy. She eventually started collecting these comics as self-published minis which found their way to Atomic Books in Baltimore who thought they ought to be collected into a proper book so as to garner Julia more laughs and hate mail. As these things go, the first volume was so successful, there was a second volume. 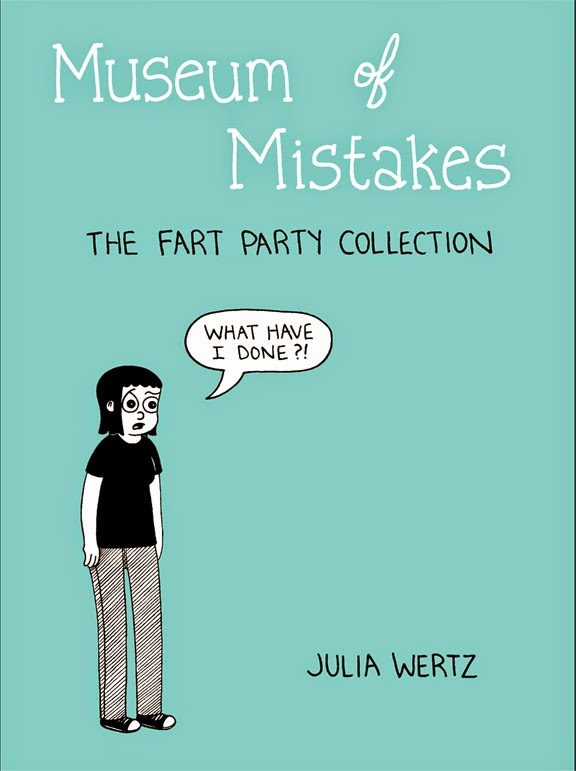 Both are out of print, but Museum of Mistakes collects them into one book, plus numerous pages of Julia’s early comic work, unpublished and/or previously uncollected comics, short stories, illustrations, process pages, hate mail, sketchbook pages, tear stains and more. 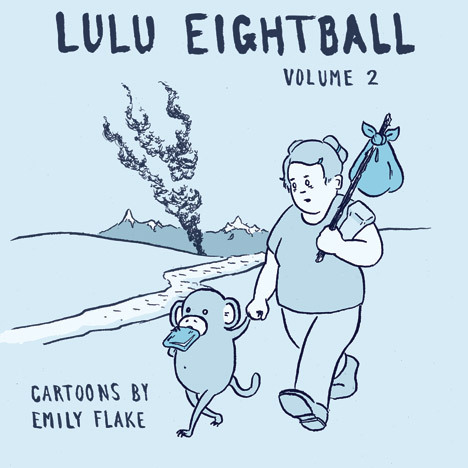 Original Lulu Eightball strips are available at Atomic Books! Lulu Eightball runs in numerous alternative weeklies around the country. Emily Flake’s cartoons deal with a variety of subjects, including - but not limited to - life and love and the foibles involved in both. Also drinking, smoking, bumble bees, monkeys, and generally bad decision making. 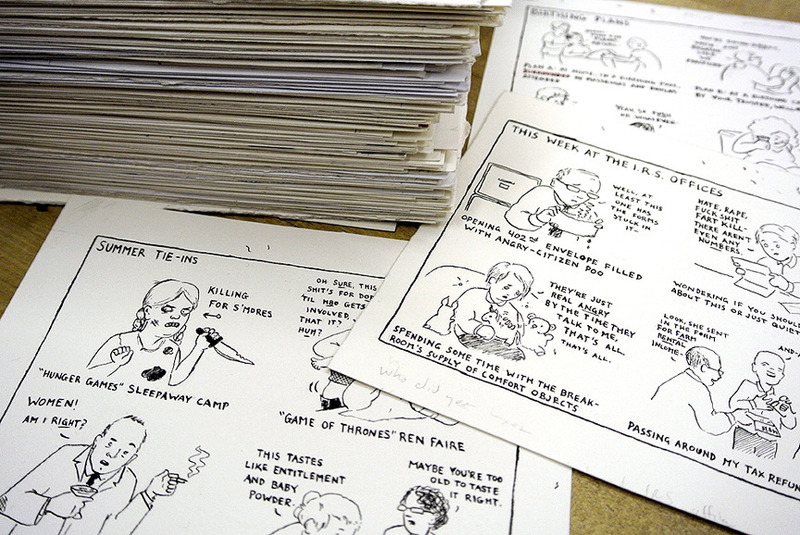 Collecting several years worth of her strip, plus "lost strips" recently rediscovered that were absent in volume 1 and a comic short story. "Emily Flake draws these eyes... these ragged, Little Orphan Annie saucer eyes that are at once wide and naive, wise and sly, and maybe a little bit drunk. I'd like to look at the world through those eyes. But it turns out, only Emily Flake can. Thank heaven for her. And hell to boot." "Don't you sometimes feel the viscous black bile heaving up and getting stuck in your throat from the areas deep in your stomach and around your heart? Because of all the easy cynicism, and sarcasm, and 'funny' pop-culture references? Or even worse: the phony compassion, cheap inspiration, and false hope? Wouldn't it be great if someone shared with you the actual pain of being a human being, accepted you as you were, and was also hilarious? Thank God for Emily Flake." 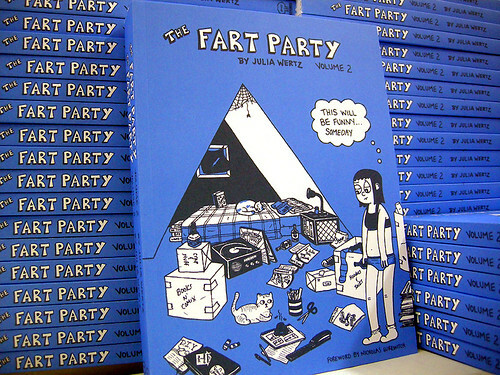 The Fart Party by Julia Wertz, collects the acclaimed and controversial web comic and zine. The foul-mouthed and hilarious stories here follow the life of Julia, a twentysomething woman living in San Francisco. Includes an introduction by Peter Bagge. 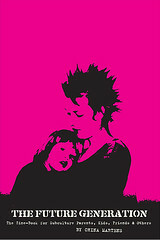 The Zine-Book For Subculture Parents, Kids, Friends And Others!